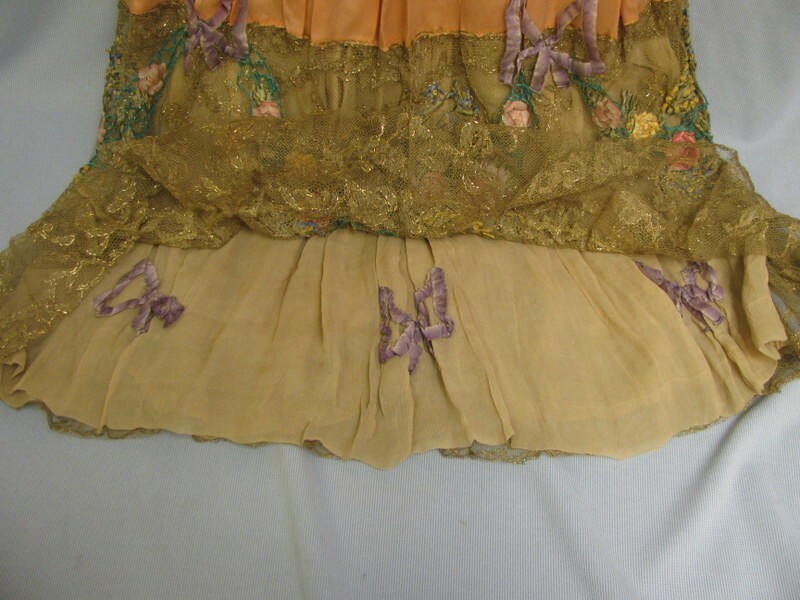 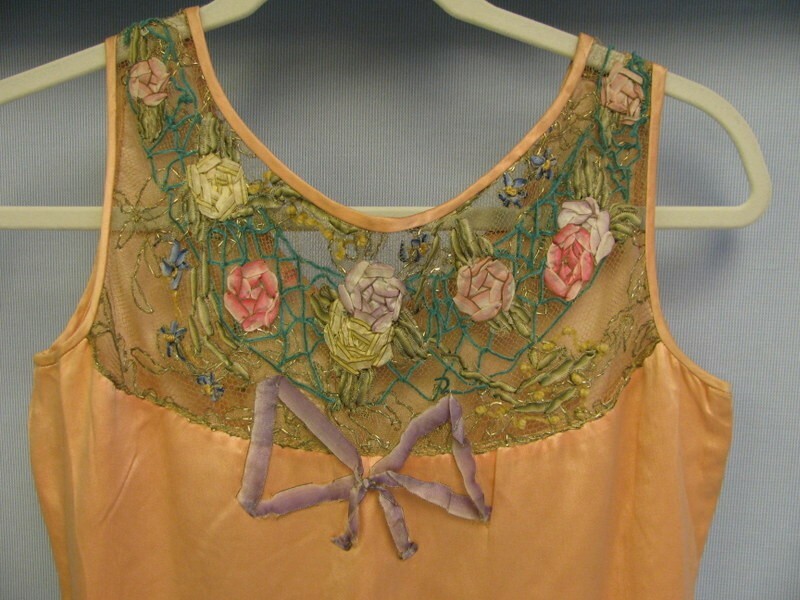 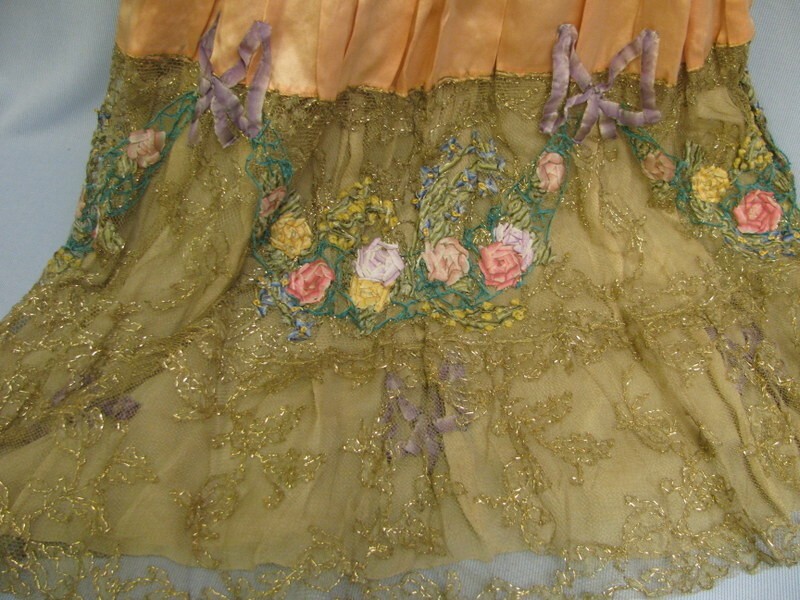 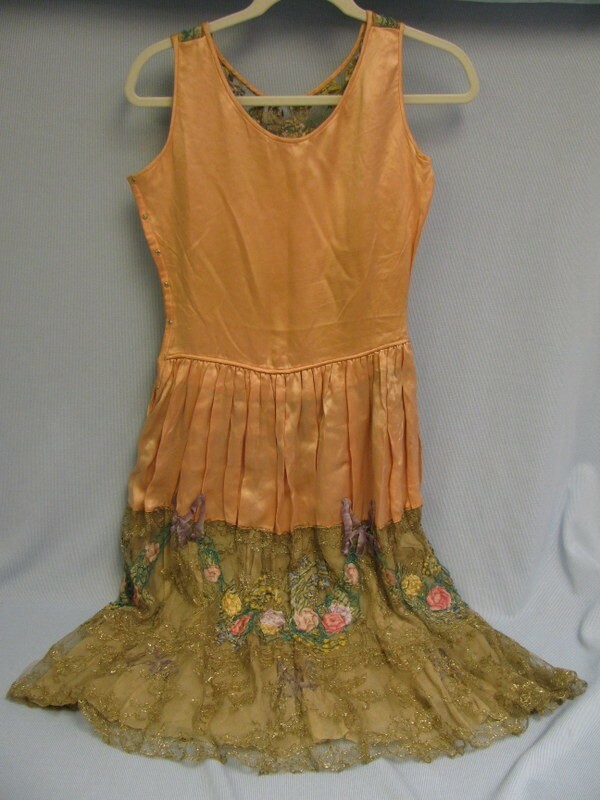 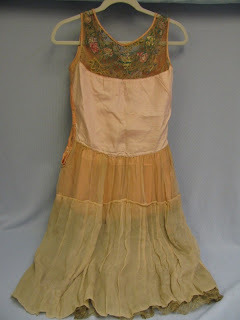 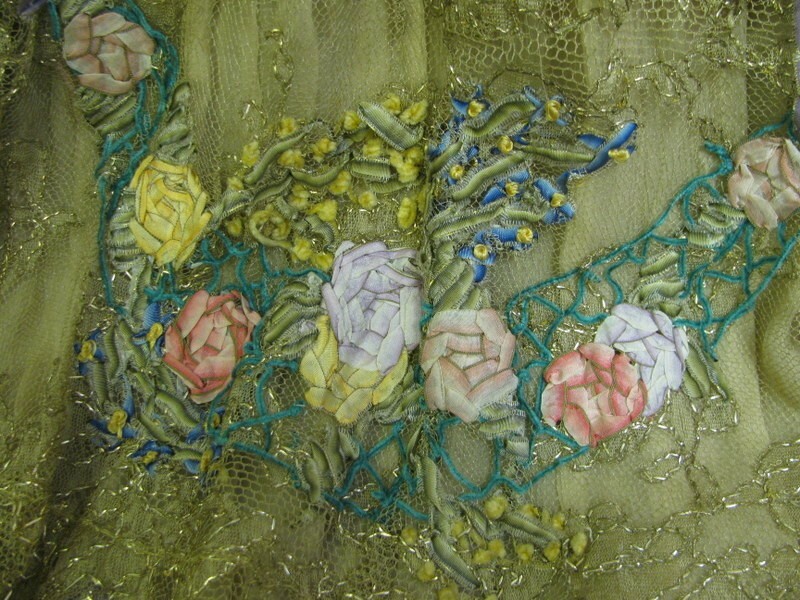 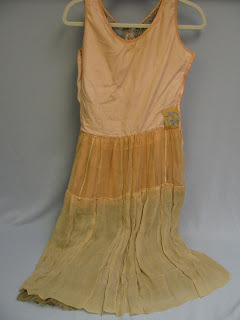 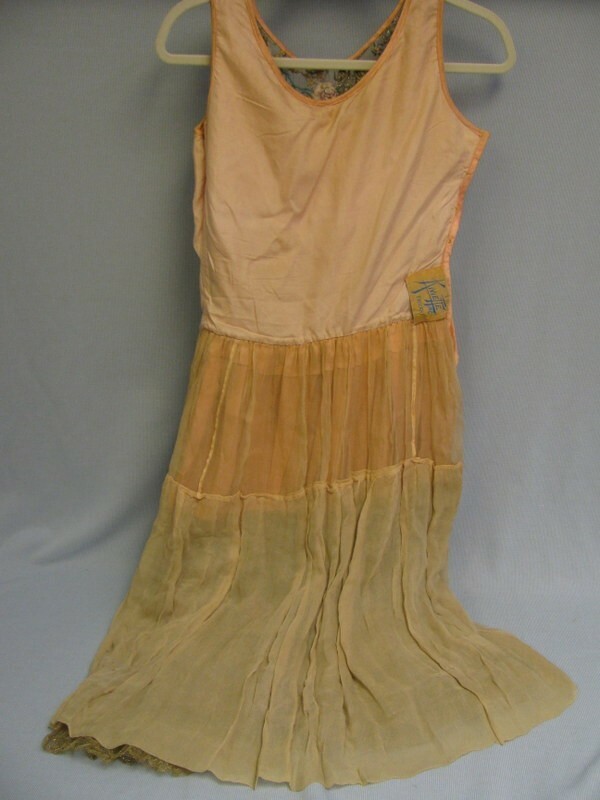 Spectacular French silk ribbonwork with chenille accents is embroidered silk lace run with gold metallic thread on this 1920's couture Kiviette labeled flapper dress. 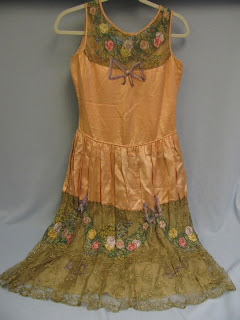 The size is extra small and the body of the dress is peach silk satin crepe trimmed at the neckline with lace and ribbon work matching the lower skirt. 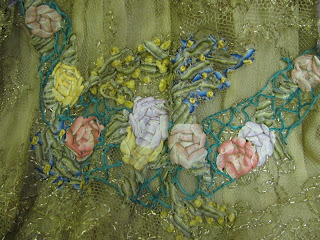 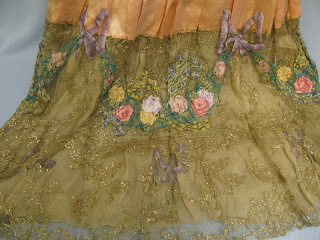 The bodice is silk lined, and the skirt is lined with silk chiffon trimmed with 5 large ribbonwork bows. 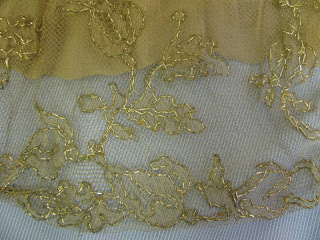 The dress has a side closure with snaps. Condition: some soiling around the inside neckline, faint spots across the bodice back, lace on the bodice is fragile but could be stabilized by underlining with new tulle. This very special couture 1920's dress was part of a luxurious trousseau. 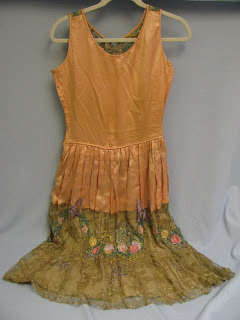 Check our other listings for more pieces from this group. 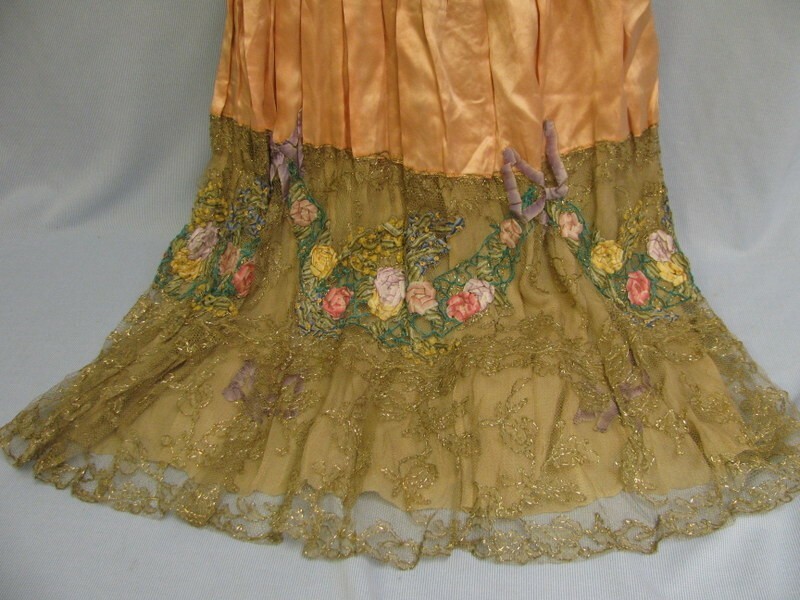 I saved the entire group's photos. This is beyond gorgeous stuff.